I can't imagine a trip to Ireland that doesn't include a visit to County Galway. From 1848 - 1950 over 6 million people emigrated from Ireland. 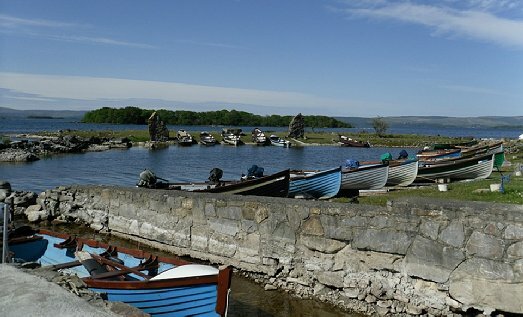 Every port in Ireland was used as a point of emigration at some stage, including Galway Bay. The same holds true for us. When we travel to Ocean Shores, we always dine at least once at Galway Bay. Good food, good service and good music. I buy all my wool hats in their gift shop as well. We like to sample different items on the menu. Peg had potato soup and I had the clam chowder. When the waitress picked up the cups, Peg just mentioned that the clam chowder was better than the potato soup. While Peg went shopping in the gift shop, our waiter came an offered us a bowl of clam chowder. They were afraid we didn't like the food. For us, we always like to sample, and don't expect to like everything. Their chowder is a multiple year winner of the Best Clam Chowder on The North Beach. Generally, we order too much, but that's okay, too. 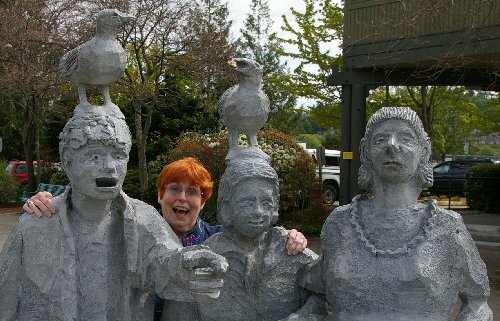 Our last night in Ocean Shores was a Friday night, so we got entertainment as well as good food. Peg ordered the Forfar Bridie. This is a Scottish dish invented by a Forfar baker in the 1850's. 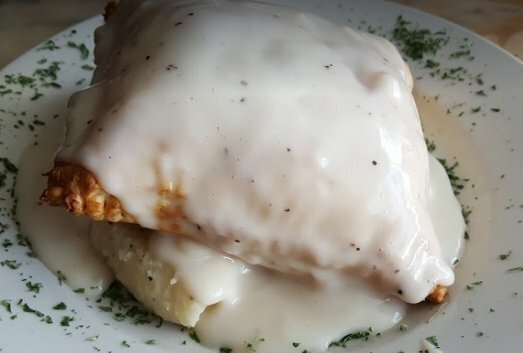 Beef and lamb slowly braised in white wine, flavored just right with sauteed onions, carrots, potatoes, garlic and herbs, then baked in a puff pastry and covered with a whiskey cream sauce. Peg had a large glass of Pinot Gris. I really enjoyed a couple bites I had from Peg's plate. I would order this on my own. Peg couldn't finish the whole thing, but declined take-home. Saturday morning we would be packing up and heading back to Tacoma. I ordered the corned beef sandwich and the Dublin Coddle. The sandwich features 5 oz. of tender lean brisket sliced thin, piled high and topped with Swiss cheese and put on freshly baked soda bread with a pickle spear and a side of ground horseradish. I mostly just ate the corned beef and the horseradish. 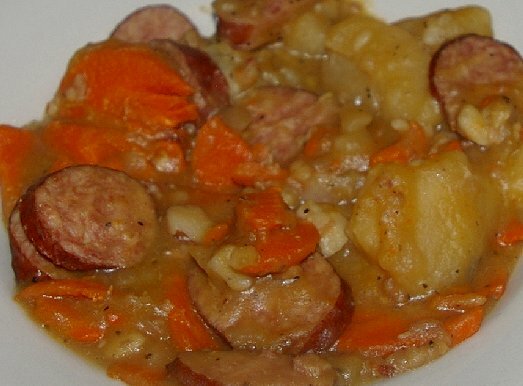 The coddle is a hearty Irish stew with sausage, bacon, potato, onion and carrots. I love stew, but for me the best thing to go with stew is Peggy's biscuits! We never think of Galway Bay for breakfast, perhaps because they don't open until eleven, but one of these days . . . I would like to try their Traditional Irish Breakfast, which they say is exactly how you would get it in Ireland: Two eggs any style, two rashers, one banger, one black pudding, one white pudding, baked beans, fried tomatoes and toasted soda bread. I was beginning to get worried about Peg. She was shopping and I didn't want her to miss the live entertainment. I hated to go looking for her and leave our table empty. That would have looked bad for Oliver Mulholland, specially if I left just as he started performing. Our table was one of the closest to the stage. Peg returned in time with a big smile on her face and a brown paper bag in hand, which she gave to me. 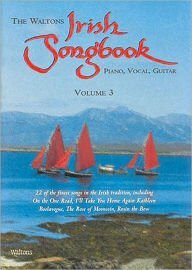 In it was "The Waltons Irish Songbook Volume 3." There were 22 songs in the book and 88 songs in the set. Most I had never heard of. Sunday afternoon I played half a dozen songs on my baby grand, while Peg played catch-up on her computer. I fell in love with one and play it whenever I'm in a mornful mood: The Dying Rebel. The last live entertainment we had heard was the Jewish Bluegrass group Nefesh Mountain. We enjoyed them immensely. Bluegrass music has its roots in Celtic music, so we were ready for songs from Ireland. 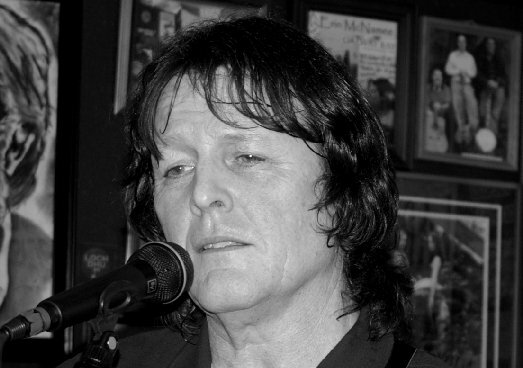 Oliver Mulholland is from County Derry and has been singing his traditional Irish ballads for over thirty years. He's based in the Seattle area. Oliver has quite a bit of self-talk when he performs. For old people like us that's called mumbling to yourself. Oliver's kind of funny, though. It doesn't look like too many things phase him. If you ask about his musical CDs, he'll give you one. "We've had a lot of returns," he says. It's kind of disarming. He just gives them away. I think most people pay, however. We like to leave tips for performers . . . and we do it in front of the audience so they'll know what to do . . . most people don't know it, however . . . or don't care. We listened to his CD driving back home from Clarks Restaurant in Arctic/Cosmopolis. He had quality people working with him on his CD. Good musicians. Oliver got our attention with he stepped up to the mic and mentioned John Prine and "Speed of the Sound of Loneliness." You're out there running just to be on the run"
We enjoyed the music and the food. Everything combined to make it a memorable evening. One of the best we've had in Ocean Shores . . . and Galway Bay. Galway Bay & Pub - Oliver Mulholland Irish Music - Ocean Shores 2017, Ocean Shores, Galway Bay & Pub Restaurant Review, Olivery Mulholland Irish music, Galway Bay & Pub - Oliver Mulholland Irish Music - 2017 Ocean Shores Washington WA.